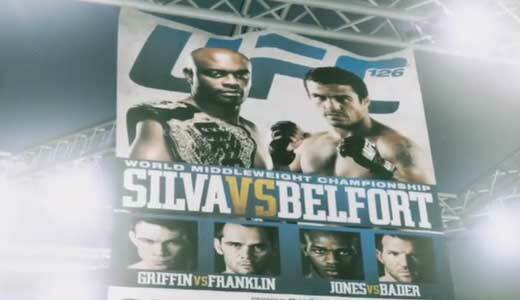 Scheduled for February 5, next UFC 126 has one of the most spectacular mma fight of 2011: the main event between Anderson Silva and Vitor Belfort,valid for the UFC Middleweight Championship. On the same evening we will see other interesting fights as Forrest Griffin vs Rich Franklin, the undefeated Ryan Bader versus Jon Jones and two very impressive fighter like Miguel Torres and Norifumi Yamamoto that will face respectively Demetrious Johnson and Antonio Banuelos. An event not to be missed!